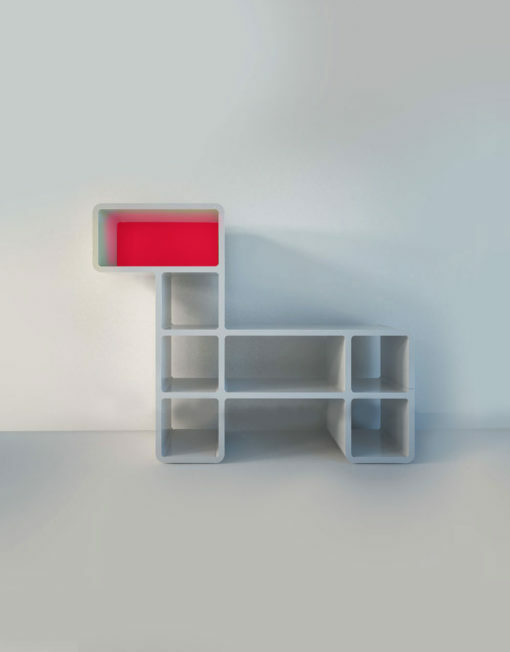 The modular Puppy shaped bookshelf is the ultimate storage unit for dog lovers and those who are looking for fun unique storage designs to spice up their home. 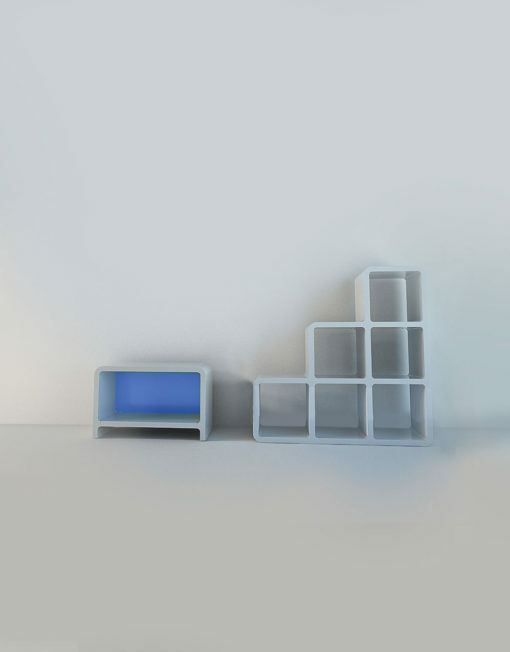 Modular in design this kit can also build a variety of other designs from TV stands to shelving, scroll through the photos to view alternatives. 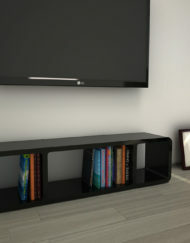 The Cute Puppy is a great way to display books, shoes, photos, a tablet or even a TV. 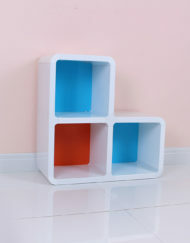 It will also make a great addition in your children’s rooms thanks to the round corners, fun design, and popping colors of the back panels. 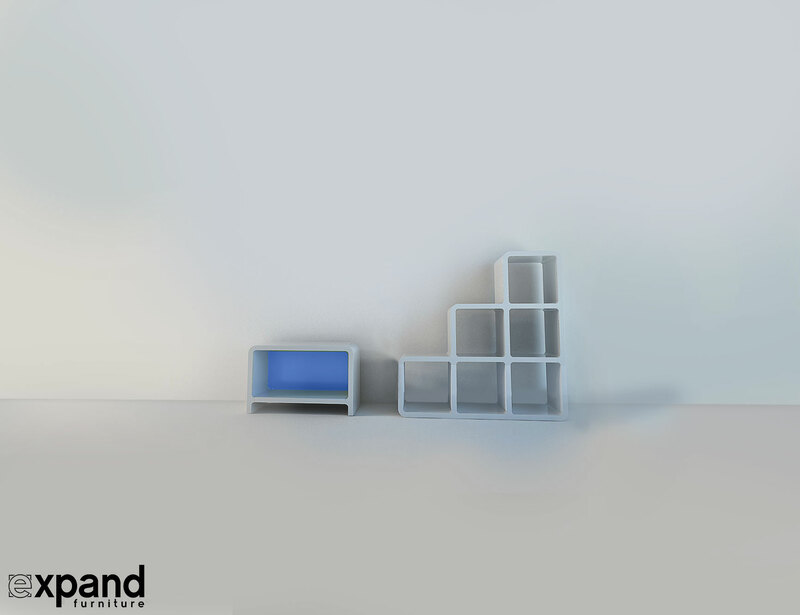 Who would not want a Cute Puppy to hold all their personal belongings? 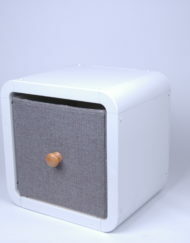 It comes in white with a Blue & Pink back panel for the puppy’s face which can optionally be inserted. 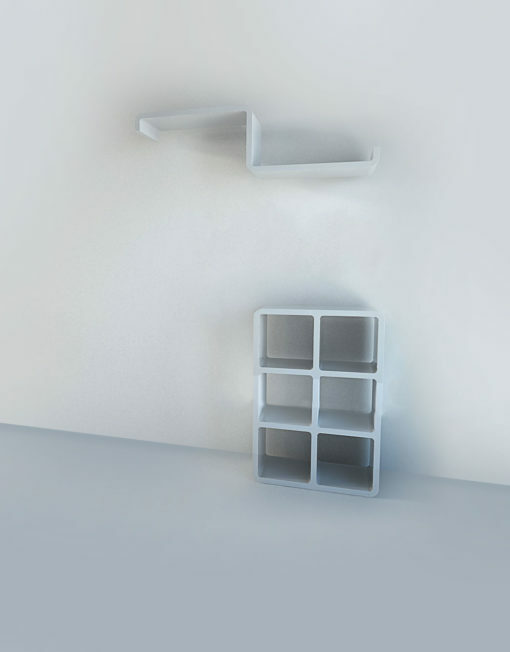 Should you get tired of the puppy (but who does? 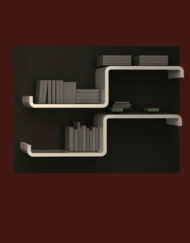 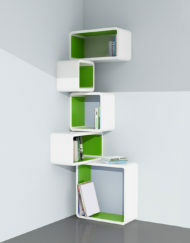 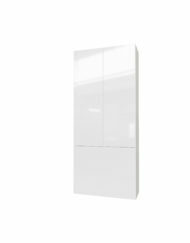 ), you have a multitude of assembly design options with this decorative modular storage system. 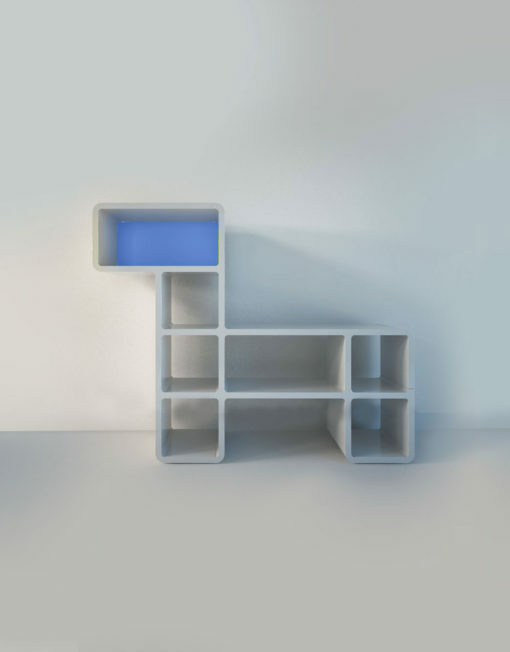 You can create the original puppy, a cubed storage bookcase system, a TV stand, a bone shaped shelf and more. 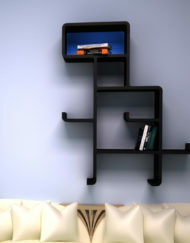 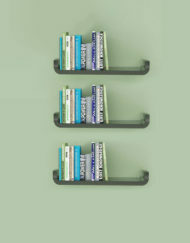 Combine it with any of our other modular storage shelves for a cohesive and fun look. 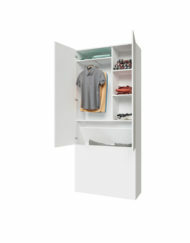 Built to order, no longer includes colored back panels. 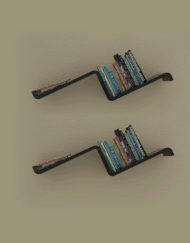 Flexible, versatile, and fun. 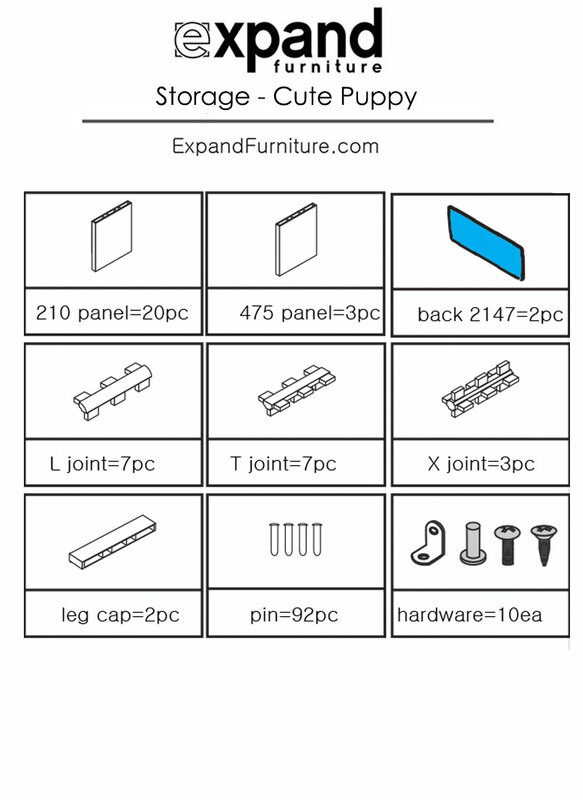 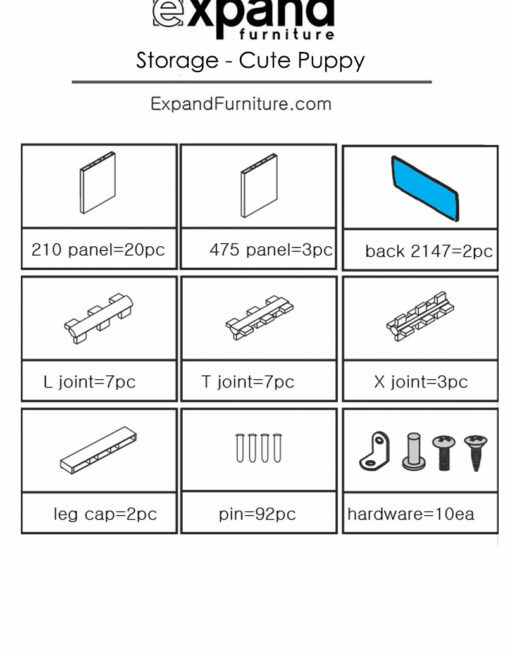 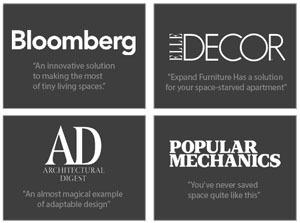 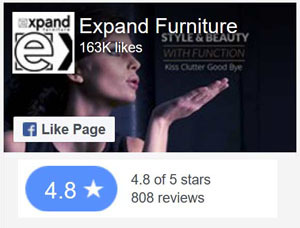 That is the Expand Furniture modular series. 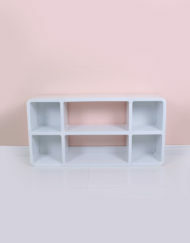 The Cute Puppy is a great solution for any room in your home. 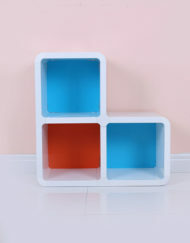 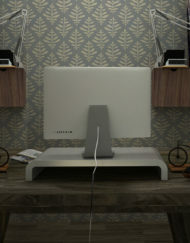 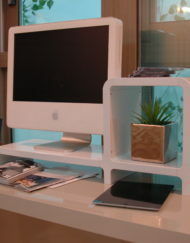 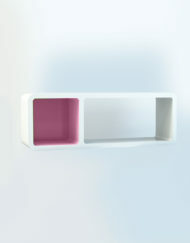 The formaldehyde free plastic and kid-friendly rounded corners make it a great choice for any youngsters in your home. 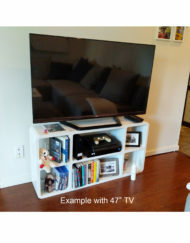 This one will have you say “wow”. 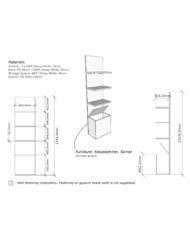 It also allows you to create a TV stand, ladder bookcase, wall shelving or provides a plethora of parts to make your own creation! 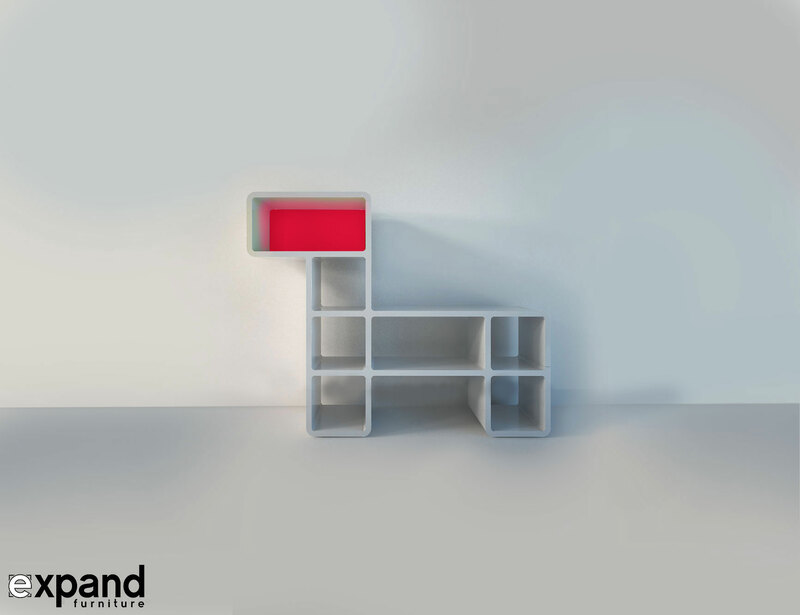 The original puppy design, which measures approximately 136cm (53.5in) in lengths and 104cm (41in) tall, can be assembled and disassembled to create many different storage systems. 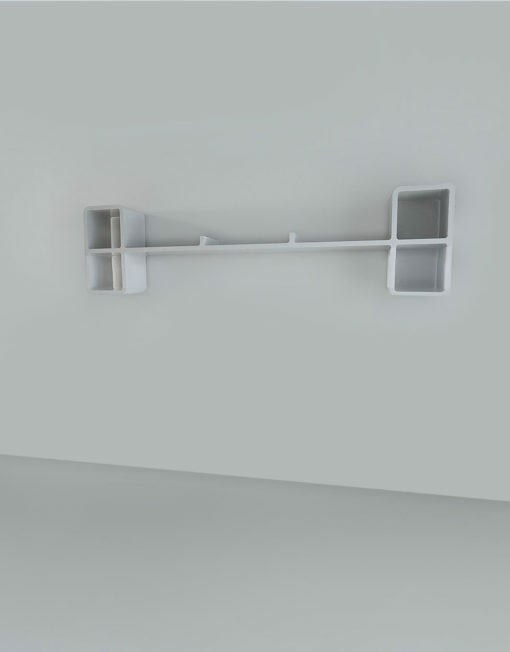 The second design alternative dimensions are 131.5cm (51.8in) long and 54cm(21.3 in ) tall. 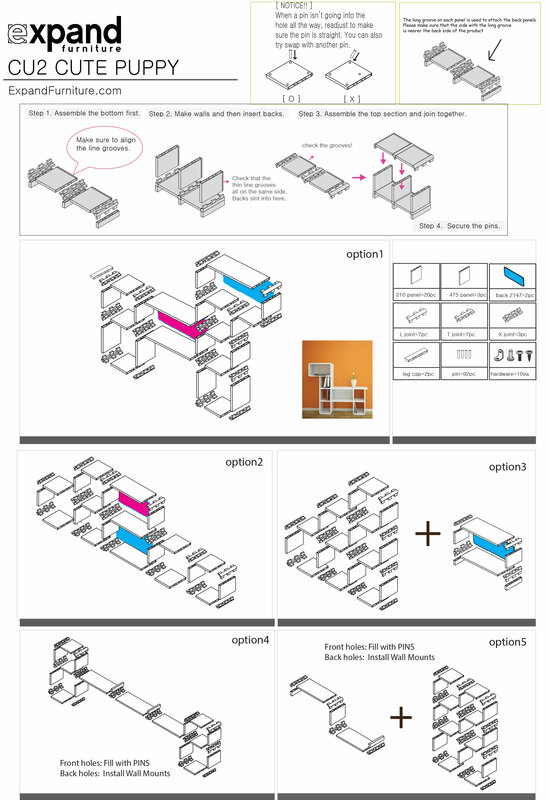 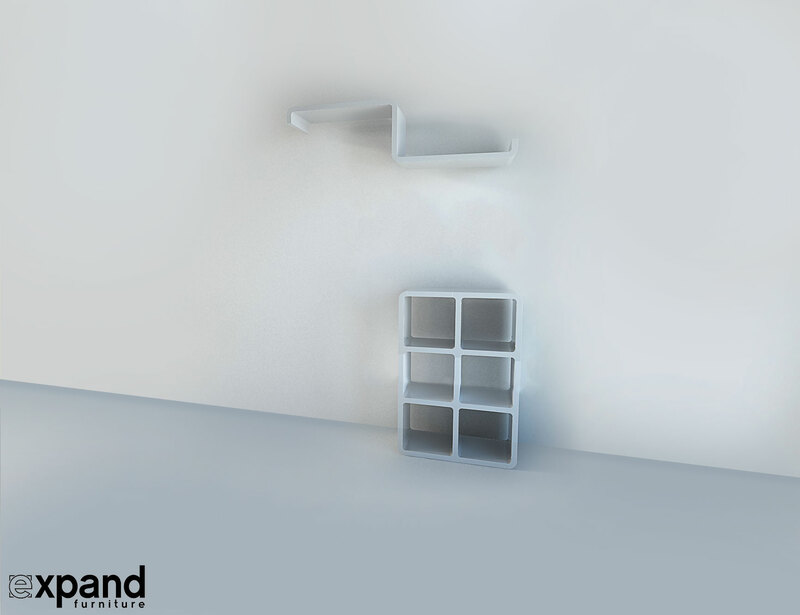 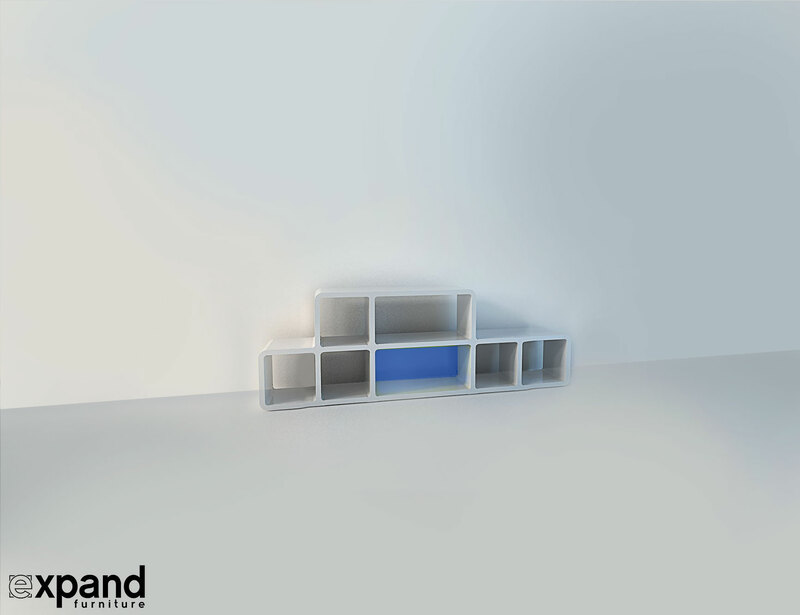 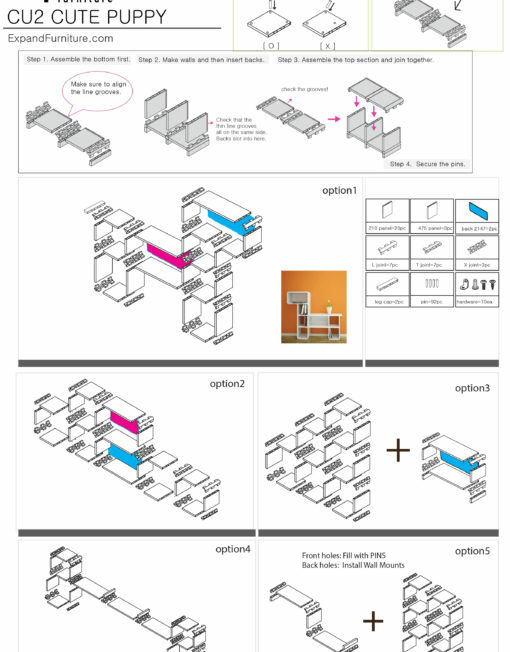 The third alternative is a shelving unit, modular bookcase with a total of six cubes that you can place horizontally or vertically. 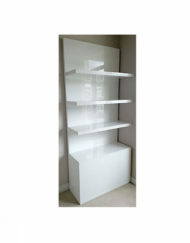 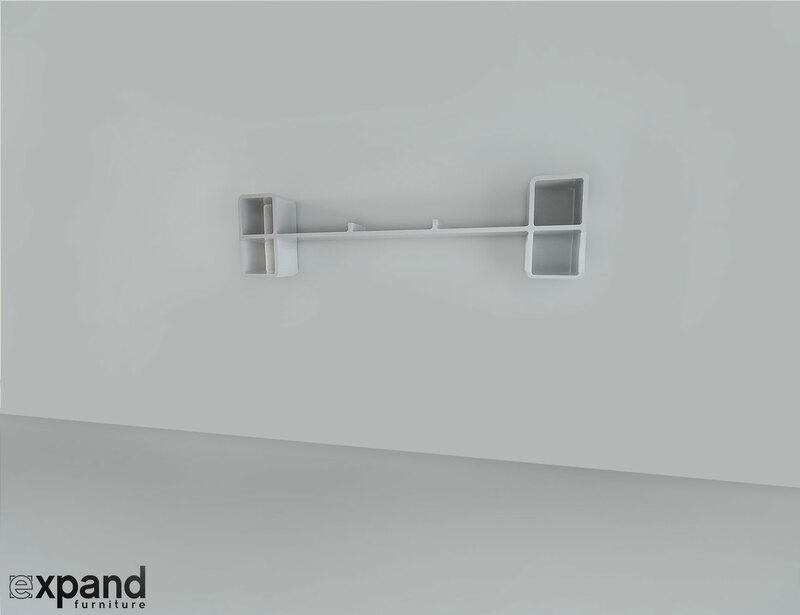 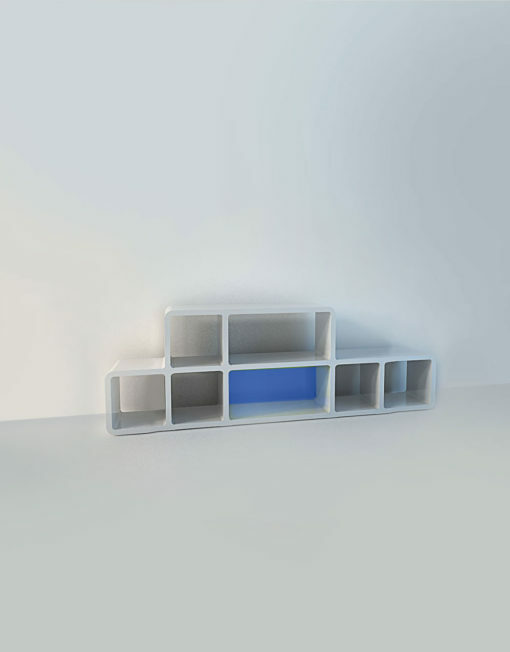 The dimensions are 78cm(30.7) x54cm(21.3in), with enough parts leftover to add a two ­leveled shelf with shelves measuring 47.5 cm (18.7in) each. 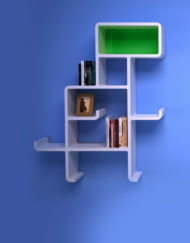 The fourth alternative consists of a “stair” bookcase shelf and a rectangle with feet. 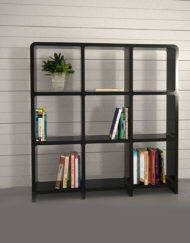 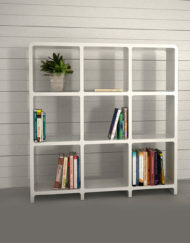 The bookcase offers ample storage space with a total of six cubes and dimensions of 78cm (30.7in) x 78 cm(30.7in) and the rectangle is roughly 28cm ( 11in ) x 55.5cm(21.8in).